When metal hips are used in hip replacement surgery, patients can suffer from implant failure, metallosis, bone death, dislocation, and other serious complications. Many patients experience relief from pain caused by osteoarthritis and increased mobility. 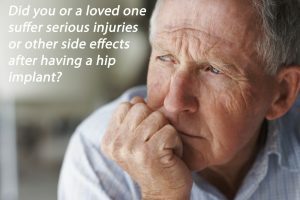 But, like other surgeries, hip replacement carries its own set of risks and complications that require immediate medical attention or even additional surgeries to treat. The type of implant may also increase the risk for certain complications. For example, studies show metal-on-metal implants have greater risk of loosening or early failure because metal particles released from the device may weaken nearby bone and tissue. 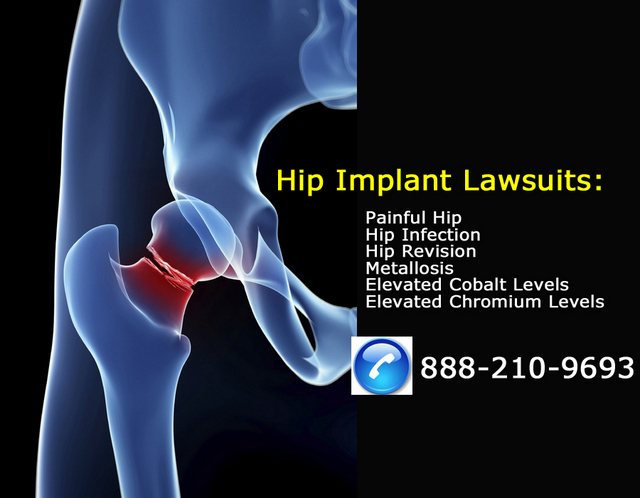 Popular brands of metal-on-metal hip implants include Smith & Nephew, Biomet M2a-Magnum, and DePuy ASR and Pinnacle. On November 19, in open federal court in Toledo, Ohio, Johnson & Johnson agreed to pay at least $2.475 billion to settle thousands of lawsuits over its recalled hip implants.